This Gujarati snack is a treat to eat but can be a little tricky to make. Gram flour and yogurt flavoured with green chilli paste are cooked into a lump free mixture smeared on a greased surface, rolled into a pin wheel and then tempered with mustard seeds, fresh coriander and coconut. Sieve besan and keep in a bowl. Grind ginger and green chillies. Grease the reverse side of a few thalis or marble table top with a little oil. Make buttermilk with yogurt and half a cup of water. Cook this mixture, stirring continuously, in a thick bottomed pan till it becomes a smooth thick batter. It takes a little time to get ready. Quickly spread portions of the mixture over the greased inverted thalis or marble table top as thinly as possible while the batter is still hot. When cool, cut into strips two inches wide and roll them tightly. Heat two tablespoons of oil and add a pinch of asafoetida and mustard seeds. Moringa plant is beginning to gain more popularity as a new superfood for its highly nutritious profile and powerful anti-inflammatory, antioxidant, and tissue-protective properties among many other health benefits. Moringa is a rich source of vitamins, minerals, and amino acids. It contains significant amount of vitamin A, C, and E; calcium; potassium; and protein. Inflammation can lead to chronic diseases like diabetes, respiratory problems, cardiovascular disease, arthritis, and obesity. Moringa reduces inflammation by suppressing inflammatory cell and proteins in the body, and moringa leaf concentrate can lower the inflammation in the cells. Evening primrose oil is full of the fatty acid gamma-linolenic acid, or GLA (one of the body’s essential fatty acids). GLA and other fatty acids are very important for the general function of your body. Alcoholics and individuals with diabetes tend to be deficient in GLA, and that may lead towards the development of arthritis symptoms and cardiovascular disease in addition to a number of other problems. Probiotics benefits are one of the most widely researched natural solutions to gut health. For years, scientists and physicians have observed the many benefits of probiotics for not just the gut, but for the entire body. In this complete probiotic guide, you will learn everything you need to know about probiotics, including the best PROBIOTIC FOOD, best probiotic supplements and how to use them. YOGURT is one of the best sources of probiotics, which are friendly bacteria that can improve your health. In children, yogurt may help reduce the diarrhea caused by antibiotics. It can even help relieve the symptoms of irritable bowel syndrome . Additionally, yogurt may be better than milk for people with lactose intolerance. This is because the bacteria turn some of the lactose into lactic acid, which is also why yogurt tastes sour. However, keep in mind that not all yogurt contains live probiotics. In some cases, the live bacteria have been killed during processing. For this reason, make sure to choose yogurt with active or live cultures. Also, make sure to always read the label on yogurt before you buy it. Even if it is labeled low-fat or fat-free, it may still be loaded with high amounts of added sugar. Pickles (also known as gherkins) are cucumbers that have been pickled in a solution of salt and water. They are left to ferment for some time, using their own naturally present lactic acid bacteria. This process is what makes them sour. Pickled cucumbers are a great source of healthy probiotic bacteria, which may improve digestive health. They are low in calorie and a good source of vitamin K, an essential nutrient for blood clotting. Pickles also tend to be high in sodium. It is important to note that pickles made with vinegar do not contain live probiotics. Add color: A vegetable’s color signals the vitamins and minerals it contains. 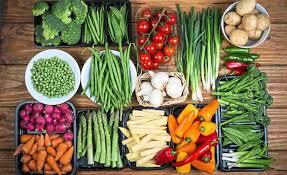 To get a wide range of nutrients, try to eat lots of different colored vegetables daily. Salads are great for this of course, But you can toss some veggies into almost any dish from scrambled eggs to pasta to the meat of. Separate your plate before you eat , mentally divide your plate into four equal parts. Then fill two with vegetables, use one for starchy foods (like potatoes, beans, rice or pasta) and one for a serving of lean meat, fish or meat substitute (such as eggs, cheese or tofu). Just don’t use a big platter-size plate , or you may pile on too much food. Know portion size : If you think a cereal bowl full of your favorite chocolate chip cream equals one serving, You may need some help estimating portion sizes. Chew your food well and wait for a while after eating before you decide if you want a second serve . Your brains needs 20 minutes to realize that you are full, Diet tips – Enjoy your meals with family with the TV switched off. Limit “screen time” to no more than two hours per day. Include at least 60 mins of physical activity or active play each day. Choose high fiber, low Glycemic Index(Low GI ) carbohydrate. Eat your veggies first as always. If you’re absolutely starving at meal time, start with some vegetables or salad. This will ease your hunger and help keep you from overloading on meat or starchy foods. Head off temptation. It the cookie jar is the first thing you see when you walk into your kitchen, you’re asking for trouble . Instead move the cookies,ice cream, chips , etc where you can’t see them, like a high shelf or the back of the freezer. Avoid processed foods- Stay away from foods that are highly processed and contain added sugars like corn syrup. Hint- Check the ingredients on the label. If there’s a long list of unidentifiable chemicals , don’t eat it. Drink healthy – want a beverage to go with your healthy meal ? Choose water rather than soda or juice , which are high in calories and less nutrients than a piece of fruit, Unfortunately, everything the expert tell us about diet is aimed at the whole population , and we are not all the same, Those who think they have no time for healthy eating, will sooner or later have to find time for illness. No doubt obesity is a lifestyle disease. The cause of obesity is lifestyle and so is the treatment! Even though you cannot change time, realize it is time to change. Good nutrition is an important part of leading a healthy lifestyle. Combined with physical activity, your diet can help you to reach and maintain a healthy weight, reduce your risk of chronic diseases. PROTEIN IS A BUILDING BLOCK? Include a source of lean protein at every meal ,from source like chicken,turkey breast,low fat chesse and yogurt,white fish or soy. FAT IS GOOD OR BAD? You will find healthy fats in oily fish,olive oil,eggs and nuts.Get some fat into every meal either by switching a lean protein for one richer in heart healthy fat. 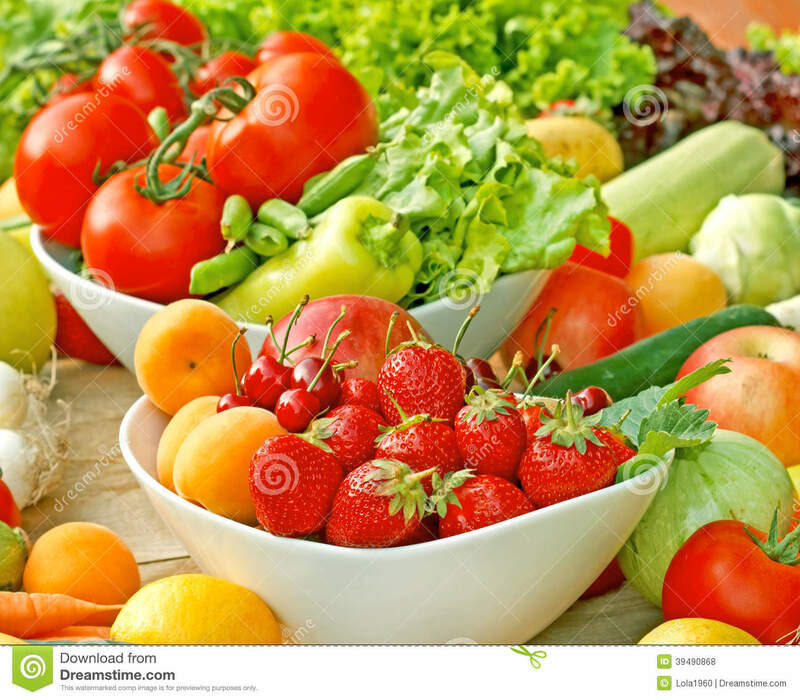 Fruits and Vegetables are a foundation of good health .Ideally you want as big a range of color’s as possible. They are important source of many nutrients ,including potassium ,dietary fiber, folate, vit A and vit C.
AS WITH PHYSICAL ACTIVITY,MAKING SMALL CHANGES IN YOUR DIET CAN GO A LONG WAY AND ITS DAMN EASIER THAN YOU THINK! How to control diabetes ? Diabetes is a disease in which the body’s ability to produce or respond to the hormone insulin is impaired, resulting in abnormal metabolism of carbohydrates and elevated levels of glucose in the blood. There are 2 types of Diabetes which are – Type 1 diabetes where there is a chronic condi tion in which the pancreas produces little or no insulin which is unrecoverable. Type 2 diabetes where is a chronic condition that affects the way the body processes blood sugar (glucose) which can be recoverable. The scientific word for diabetes is Diabetes Mellitus. These days it has become a very common heath problem. People are even going to Nutrition center to cure it through diet and by losing weight. Some of the common symptoms of diabetes include fatigue, weight loss (even though you are eating more), excessive thirst, increased urination, cut and bruises that are slow to heal and blurred vision. Bitter Gourd also is known as bitter melon, which can be helpful for controlling diabetes due to its blood glucose lowering effects. It tends to influence the glucose metabolism all over your body rather than a particular organ or tissue. Even due to the high sugar level, people are on insulin and medication which is too costly and after getting affected by diabetes they start focusing on their health and diet They have to eat every 2-3 hours so that their sugar level is maintained. but they eat most carbohydrates which are the major cause of diabetes , They should start eating healthy and lots of fat and protein, they won’t only get cure from diabetes but even they would start losing weight which would be mostly fat. It is also said that you can control diabetes with one boiled egg every day. Research has also proved that even, when you get up early in morning usually the insulin is low that’s the reason Doctor and Nutritionist says that we should eat high sugar fruits in the morning hours and low sugar fruits as a middle meal or before lunch but for diabetes patients no high sugar fruit allowed only low sugar fruit . Strictly no fruits after lunch and even no bakery products with tea . No sugar in tea, a patient can use natural sugar-free or stevia (drops or leaves).Insulin in the morning hours is low due to fasting of 8-10 hours during sleep. That’s why in the morning hours you need simple forms of carbs that are fruits which can be any low sugar fruit and this rule is applicable to all the age groups there is no specification. If the glucose level is high in your blood then it can lead to serious health issues. Fenugreek Seeds soaked them in water for overnight, next day in the morning strained the water in the glass and drink this water every day which helps to control diabetes by stimulating pancreases increase in the production of insulins. LIFE IS NOT OVER BECAUSE YOU HAVE DIABETES . MAKE THE MOST OF WHAT YOU HAVE, BE GRATEFUL – DALE EVANS. Author divyaPosted on March 4, 2018 April 24, 2018 Categories Food, Health, People, UncategorizedTags Bitter Gourd, Diet to control diabetes, to control diabetesLeave a comment on How to control diabetes ?